From October 8th until 15th it was Dutch Sharing Week. The purpose of this week was to make clear what we can actually share with each other. Many organisations and initiatives took their stage to be an inspiring example for others. 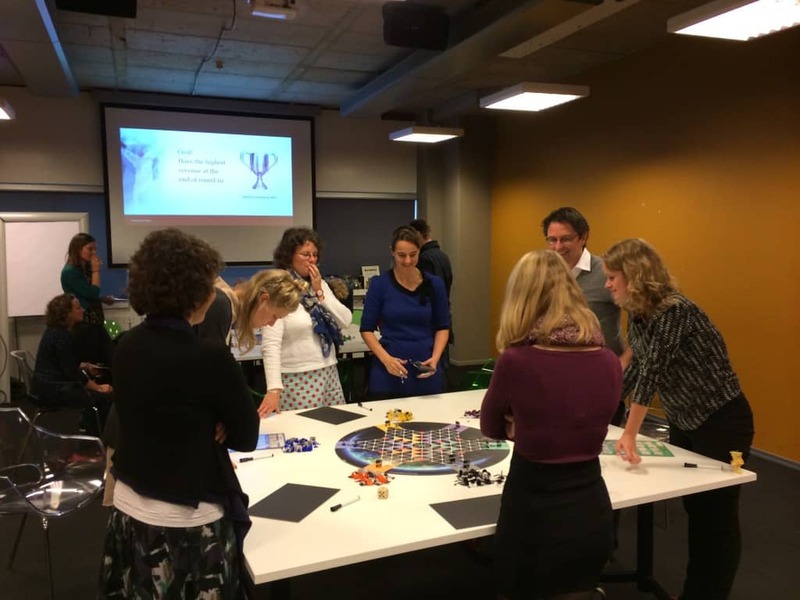 Marieke Groenhart and Fanny Claassen from Perspectivity decided to share their knowledge on inspired dialogue and self-reflective learning and facilitated an interactive Perspectivity Game. We played with two groups and helped the participants to understand the complexity of today’s world. Two teams entered into the spirit of the Perspectivity game. Participants around the table came from a range of occupations with a large number of students, a couple of public health researchers and even the expertise of a game maker. As the game was played within a “Sharing week” it may have been reasonable to predict a certain outcome. However the complexities of the game challenged all players to deliver very interesting results! The predicted versus the actual can be very different just like the reality of our complex world. The post-game reflection provided thought provoking messages and new strategies to share with colleagues, friends and family in our challenging world.